Here at Jack Hunt Gold & Silver we are frequently asked about the pricing and availability of “fractional” gold coins. By definition, fractional gold coins are bullion coins that weigh less than one troy ounce. The most popular fractional gold coins are the U.S Gold Eagles which, in addition to the popular one ounce unit, is also available in half, quarter and tenth ounce sizes. The popular U.S. Gold Eagle and Canadian Maple Leaf gold coin are available as fractional gold, weighing less than one troy ounce. 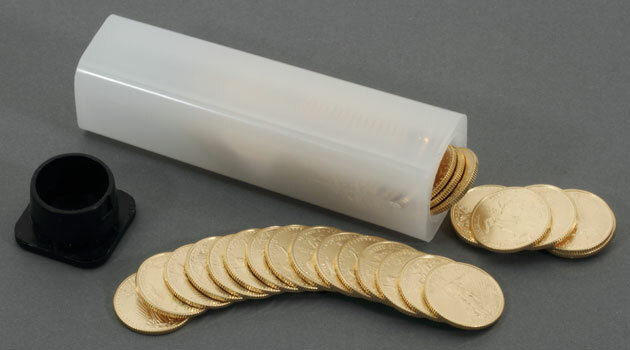 Numerous other countries and mints issue fractional gold coins. However, the U.S. and Canadian pieces dominate the world marketplace, so we strongly suggest focusing on them. So what are the advantages of fractional gold? The first advantage is flexibility/liquidity. That is, if and when the time comes to sell gold for cash, you can sell the unit of gold most reflective of your cash needs. You may only need $400 for an unexpected expense, so why sell a full ounce of gold for $1,250 when a quarter ounce or a half ounce makes more sense? For those of you who feel gold may someday be used as a currency for barter or trade, common sense tells us a smaller fractional gold coin may be more practical than the traditional one ounce coin. An analogy I frequently use is that whereas a tenth ounce gold coin might yield an adequate amount of beef and milk in trade, the one ounce piece may force you to take the whole cow. A one-tenth oz Gold Eagle coin, worth approximately $150, is a popular choice for a gift. A second advantage of fractional gold is that they’re more appropriately priced for gift giving. I know of far more scenarios where a tenth ounce ($150 or so) or a quarter ounce (approximately $350) gold coin is more appropriate for gift giving than a $1,300+ one ounce gold coin. A third advantage of fractional gold is similar to the aforementioned second advantage: cost. Even though one ounce gold bullion is far and away the most frequently traded size of gold, many investors don’t want to spend $1,300+ on gold at any given time. Fractional gold coins are not only cheaper for gift givers but for investors as well. Unfortunately, there are several reasons not to buy fractional gold and those reasons revolve around cost. Very simply, the smaller the unit of gold, the more it costs per ounce. It costs a refiner/mint more to fabricate ten tenth ounce coins than the equivalent one ounce coin. As an example, using a hypothetical gold ‘spot’ quote of $1,250 ten tenth oz. gold Eagles would cost approximately $1,500 factoring in the higher fabrication charges. A one ounce gold Eagle, with the same net gold content, would cost approximately $1,330 due to its lower fabrication related fees. Another factor is sales tax. In many states, including New York, the sale of gold bullion weighing less than one ounce is generally subject to state and local sales taxes unless you spend a minimum of $1,000 or more on bullion. Many states conveniently feel that fractional gold is not bought for investment purposes but only as jewelry or as a gift and therefore should be taxed. To save nearly 9% in sales taxes, we urge you to combine smaller transactions into a larger transaction to legally avoid sales taxes. Is Fractional Gold Right For You? The ultimate decision is yours, of course. If your motivation for buying gold is for gift giving or future barter or trade purposes, the added expense of fractional gold may well be worth it. If you’re buying gold as either an investment or inflation hedge, then one ounce units with their most attractive buy/sell “spread” may be the more logical option. This entry was posted in Gold Bullion and tagged Canadian Maple Leaf, fractional gold, gold coins, US Gold Eagle by scott. Bookmark the permalink.